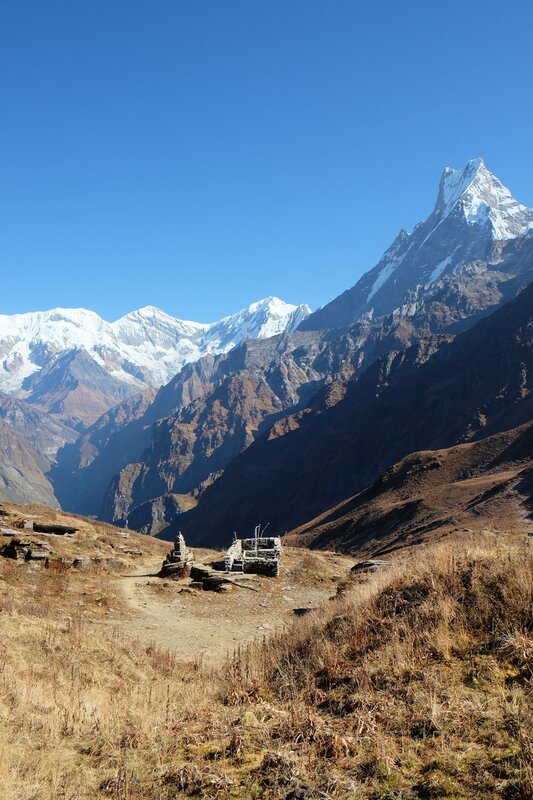 The Mardi Himal Trek was the result of coincidental connections, the type of connections that only arise when you let go of your expectations and allow the world to happen to you rather than trying to manifest your expectations for it. It started with a bitter disappointment that lead to the reward of friendship and a beautiful trek to Mardi Himal. As with any good ending the way to get there is circuitous. Our bus ride back to Kathmandu from the Gosaikunda Trek had been exhausting and if you read the Gosaikunda Nepal post we were immediately thrust into the presence of two doctors that introduced us to a bunch of Osho videos, talked to us about the the origin of consciousness making us feel very at ease. 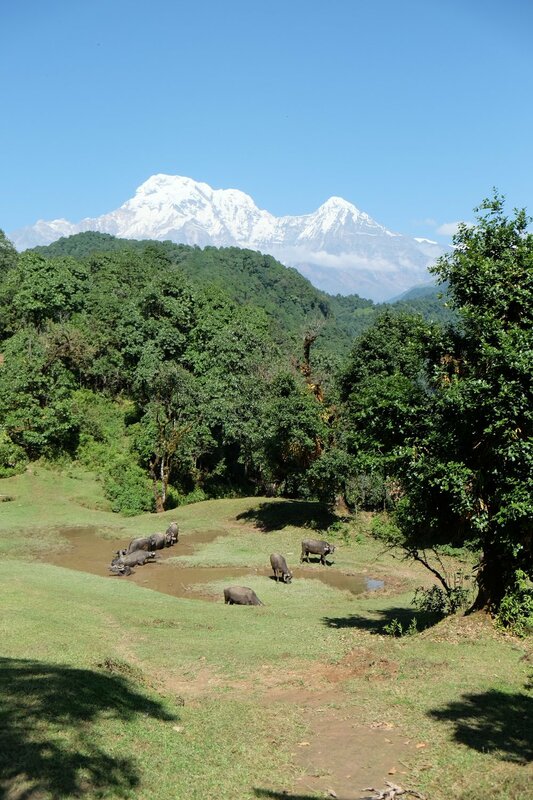 Meeting them would start a chain reaction that lead to our Mardi Himal Trek. One of the doctors, who was our host, had recently accepted a position in Germany and would be leaving a day before we planned to leave, but he let us stay after he left for free, so we would spend a night on our own in an empty apartment. Before he left for Germany we mentioned our wish to go trekking somewhere around Pokhara, so his best friend offered to put us in touch with his cousin who was starting an Air BnB there and we made arrangements to stay with him. I will come back to how this lead to our trek and new found friendship. Before getting into the trek we did have some down time exploring Kathmandu and resting up. We opted to not stay near Thamel again and I think if Thamel can be avoided it should be. Our new neighborhood was Sanepa, an expat oriented place for more permanent foreign residents. We did away with our compulsion to only eat daal bhaat and Nepali food. There was Hermann Hellmer's Bakery, which has the best pastries I have had in Kathmandu and one place where you can comfortably order your food in German. 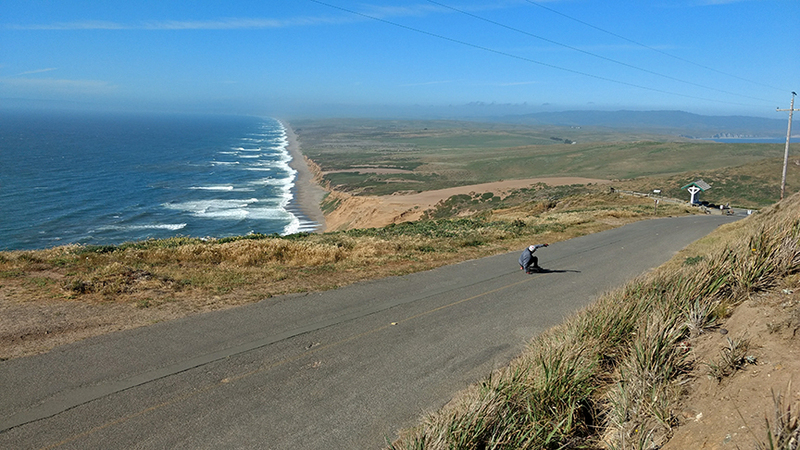 Soma Cafe and Top of the world were some other favored breakfast spots. We explored the ancient city of Patan (several times as it was not far away) and visited the Patan Museum. We went to the Taragaon Museum, a beautiful cultural center that promotes the preservation of Nepali art and architecture. We visited the Adhikaris again and Ali would get some amazing gold earrings near the Charumati Stupa at the store of a family friend. Many people ask us what it is like to be together everyday for pretty much the whole day for days on end and how or even why we do it? Well at this point we have it pretty well figured out, but on that day going to catch the bus to Pokhara we hit a low point in our communication skills. Although the result started a chain reaction that spawned a great adventure, it resulted from a tense situation. After our rough 9hr ride back from Dunche I had looked into this new super ultra top of the line mega deluxe bus with marshmallow looking seats that left from the Hotel Annapurnal to go to Pokhara, but I was still stubbornly hoping we would find a decent regular bus from Kanti Path Road (which is about a 7min. walk away from the Annapurna) and not need to spring for the ridiculous marshmallow bus. The buses didn’t leave until 7am and we arrived at Kanti Path in a taxi close to 6am with an hour to spare. Ali didn’t like the look of the regular buses or the men encouraging us to get on them as it was pretty much what we had experienced coming back from Dunche (it was still too recent a trauma), so in that moment we decided to walk to the Annapurna and look for the luxury bus which we found along with the other types of people who try to take “luxury” buses in developing countries. By the time it arrived and we found out we could not actually buy tickets from the driver or from the hotel desk it was around 6:50am. By the time we had walked back over to Kanti Path to get on what had been a plentiful supply of regular buses they were all gone. 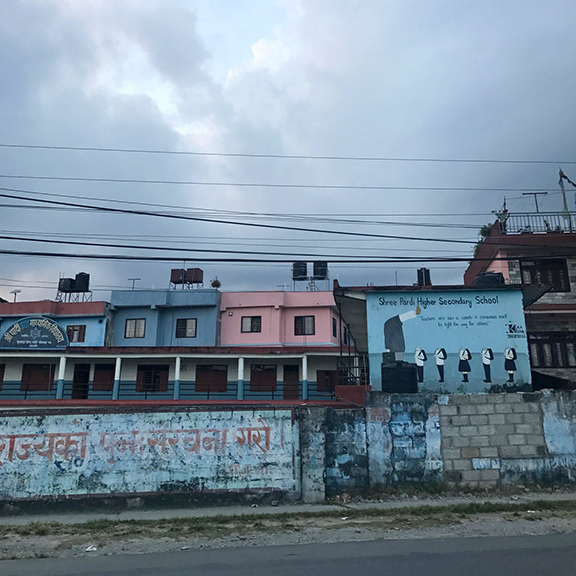 We were now standing with our backpacks in a fairly empty street by Kathmandu standards since it was a holiday and facing the prospect of figuring out what to do for an entire day before having the chance to get on a Pokhara bound bus the next morning. What had happened? How were we so inept? 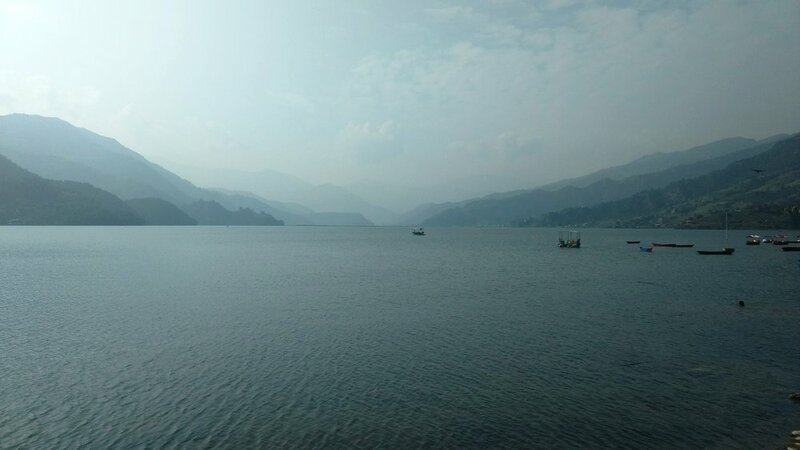 We were supposed to be on our way to Pokhara? It was not the end of the world. We were right in Thamel with many hotels around so I was not that bothered, but Ali was furious with me, and rightly so, for not just booking the luxury bus to begin with. We were those foreigners fighting in the middle of the street, Ali was full on shouting, I doubtfully chalked it up to the fact that she is not a morning person and calmly looked for a solution. 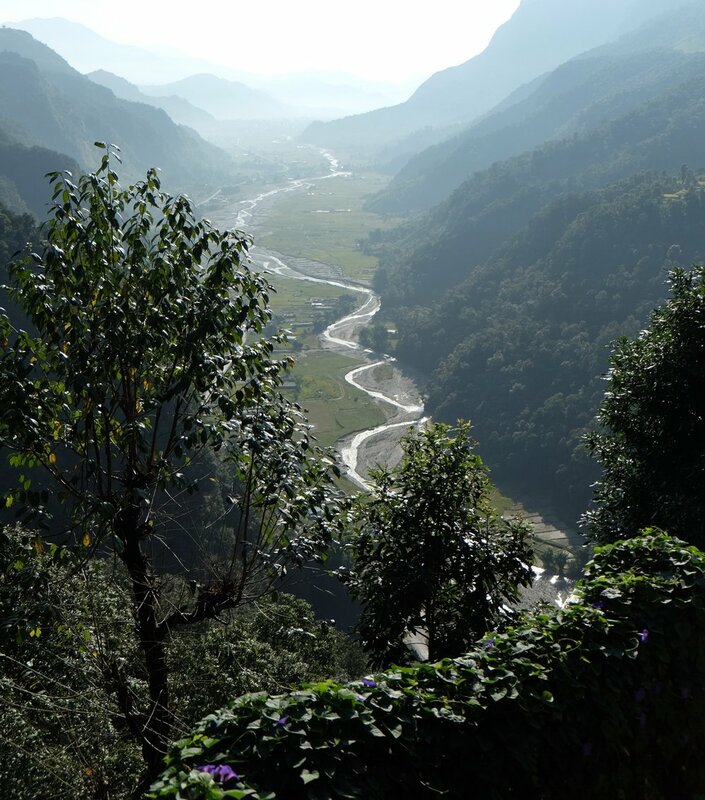 Had I booked the luxury bus we would have been on our way to Pokhara at that moment, but had I done that we may never have experienced the adventure and friendship of the Mardi Himal Trek. Dejected we booked into a hotel just off of Kanti Path and had a pleasant day in Thamel buying the shirts you see us wearing below. The next day we boarded a regular bus with no drama from Kanti Path to Pokhara where we met our 19 year old Air BnB host (and cousin of the friend we had just met in Kathmandu) whose dad had recently bought a Royal Enfield. One of the conditions of us deciding to stay with him was that we were told he would let us ride the Royal Enfield (never mind that I had only learned to ride a motorcycle 2 days before). 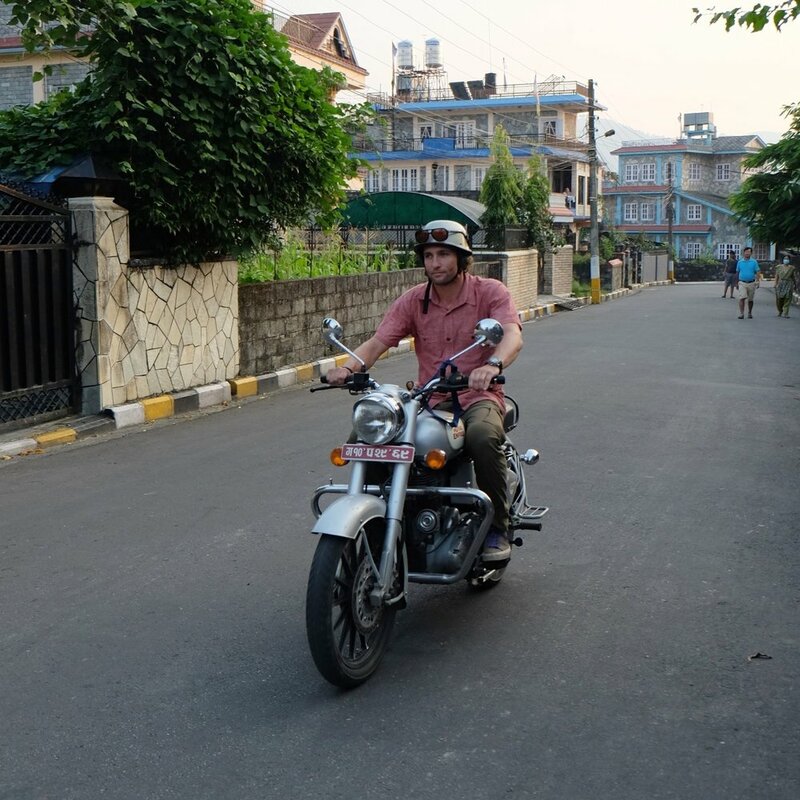 We did get to ride the Royal Enfield (and it was stupid fun), we also got the recommendation that we not go try to do any of the treks on the Annapurna circuit, but instead do a newer trek called the Mardi Himal that was becoming popular with Nepali people. This suggestion, combined with our one day delay in catching our bus is what would lead us to our serendipitous meeting with our friends Sanjay and Yogy. Looking ahead to Annapurna on the left and Macchapucchare on the right. At one point we met a man on the trail who offered us tea at his house, so we hung out with him for a bit since he was the kind of old school guy who did not expect anything in return except for some good conversation (in Nepali). We continued on diving into the jungle making good time until we needed a break and so we cranked the tunes and did some dancing. Topping out we emerged at Forest Camp where we lodged with a cantankerous woman who made us a much too good offer for her room as it looked like she would be empty otherwise. Subsequently a large mixed group of westerners showed up, an older Frenchwoman with a guide, as well as these two very nice Nepali guys Sanjay and Yogy who we had met earlier on the trail. The woman had no staff on hand, as it was a holiday yet again and ironically enough one of the same guides from our Gosaikund trek (who was now guiding the French woman) appeared to help out again in pretty much the same situation, because again there was a full house and no cook. We made the mistake of teaching Sanjay and Yogy gin rummy, because they immediately started beating us, but we really hit it off and had a lot to talk about. The next morning I had a heck of a time reminding the lodge owner about the crazy deal she had given us while Sanjay and Yogy were trying to negotiate their locals discount. They left about 30mins. before we did knowing that we would catch up to them and when we did, we silently concluded we would end up doing the rest of the trek together, sharing our lunches, teas and snacks the rest of the way. They both had great a great sense of humor and kept a good pace. Sanjay makes beautiful drawings and works in advertising. He had done a lot of traveling and hiking in Nepal so it was nice hearing his perspective. Twenty years ago I never saw any Nepali people hiking for enjoyment, it was always for religious pilgrimage or work. Now there is a class of Nepali people that have taken up enjoying the mountains purely for the sensation of being in nature and the stimulation of meeting new people on the trail. Ali and I spend everyday together so sometimes we probably seem like we are strangely clinging to new people when we meet them because it is refreshing to hear voices other than our own. This trek would not have been as fun without their company and we met up with them when we got back to Kathmandu as well. One discouraging issue was that at some of the lodges the owners would assume that Yogy and Sanjay were our guides or porters. Again this is somewhat understandable as it is still a bit of a novelty to see Nepali people trekking for recreation and I make the same assumption whenever I see bideshis (foreigners) and Nepali people on the trail together (Nepali people are the guides or porters and the foreigners are paying the bills), but hopefully this perception will change as more diverse mixes of Nepalis and foreigners move along the trails. We rolled into High Camp at 3,580 meters (11,745ft) a little bit ahead of our friends feeling confident about the next day. Dinner time was a fun warm mix of people. I complained that the food was not spicy enough, so another guide gave me one of the worlds spiciest khorsani from his personal stash to flavor my daal bhaat. A hiker came in out of the cold well past sun down with barely any warm clothes claiming he had gotten lost and we gave him a seat right by the stove. While we lost at gin rummy to Sanjay and Yogy again, a French group of guys at another table claimed they were going to ascend to the top of Mardi Himal with no ropes or technical climbing gear. The local guides told them the certainty with which they would die reciting stories of the other misguided adventurers who had never returned from Mardi Himal. There was the arrogant Israeli who was never seen again and the French woman who innocently assumed she could just walk to Annapurna Base Camp from where she was (I mean you can see it right there, it looks so close). With these uplifting thoughts in our head (as well as a bit of pain from the altitude) we went to bed. Sun setting on Annapurna the night before we would head out. The night before we could overhear people talking about when they planned to hit the trail. We had originally planned five days for this trek, but since we met Yogy and Sanjay our timeline had shrunk considerably. They wanted to go up and all the way back to Pokhara in one day via a different route than we had come up (that’s ascending 2,855ft and then descending about 11,600ft to about 3,000ft on foot). Then we would get in a 4wheel drive vehicle to take the very rough road back to Pokhara. This seemed very aggressive, as if there were so many things that could go wrong but we figured it was worth a try…what’s the worst that could happen? To accomplish this big feat we decided to leave at 5am. At this hour its cold to the point where even fresh batteries in your head lamp seem weak as the chemical reaction of the batteries slow down. Due to bathroom breaks we didn’t get rolling until 5:30 when our little dots of light began to climb the steep trail. Luckily the darkness masked the steepness of the climb that we could only feel in our legs and our hands as we had to stabilize ourselves for much of this section. We reached another party just as the sun peaked up over the ridge illuminating the peak of Annapurna and we were greeted by a sunrise the likes of which I don’t think I will ever see again. With Annapurna behind us it looked like the set of a movie. Due to our self imposed timeline we pushed on. There was a small tea hut where we had some dried figs and then continued on again leaving Yogy and Sanjay behind because we were determined to make the base camp before our turnaround time. We had done too much armchair mountaineering to not respect the turnaround time. Ali and I still talk about regretting this decision because ultimately our friends stopped at the high view point and did not make it to the base camp. We felt like we had betrayed the team, had we stayed and supported them better they might have made it all the way. We were the first ones to the base camp along with a young solo German hiker. 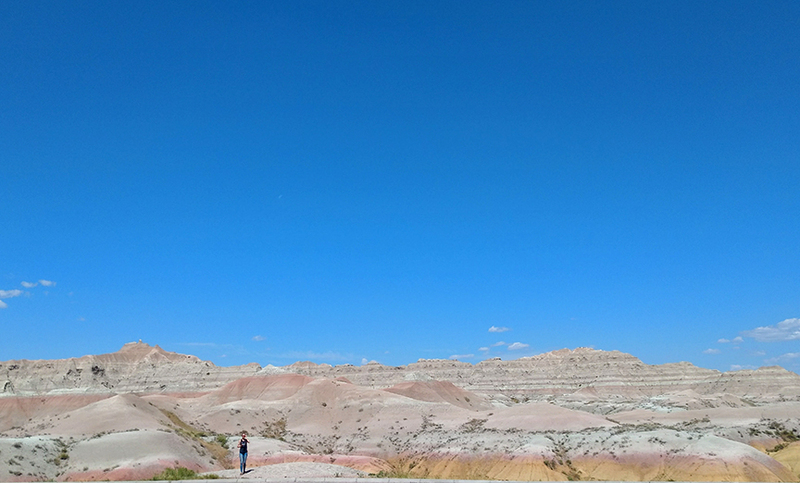 We hung out enjoying the view and the elation of accomplishing the goal eagerly awaiting our friends who did not arrive. When we realized they were not going to make it we headed back down and picked them up at the high view point. It was Tihar and they had to get back to Kathmandu the next day to celebrate with their families which meant we had to get back to Pokhara that night. They seemed bummed they didn’t make it but honestly the altitude was messing with all of us so we just started to head down. Back at High Camp we picked up our heavy packs and cruised all the way to Low Camp (2,990m / 9,809ft) where we had lunch. From there it got dicey as we quickly descended and rain started to fall. The trail seemed to stretch forever or we were forgetting how far we had decided to hike. We put on our rain coats. Sanjay and Yogy pulled out blue plastic bags and slit one edge to pull over their head and continue down the trail looking like smurfs. A sense of delirium set in towards the end with the combination of exhaustion and bone soaking cold and this longest day ever was far from over. Sure enough the 4 wheel drive truck that Sanjay had called was waiting for us along with a father and his son all going to Pokhara. It was the driver, the son and Yogy across the front bench with me, ali, Sanjay and the father in back. The ride was not just bumpy it was jarring to the point where you had to keep yourself in constant tension to avoid being thrown around. The rain was causing the rivers to swell and we had some sketchy crossings as you can see below. Meanwhile we would pick up other passengers along the way who would just ride in the bed of the truck. When we finally got back on the road the sun had set and the lights of Tihar were to be seen in front of the houses with dancers swaying in the rain. The streets were thick with people. I was shivering from wet cold and fatigue when suddenly there was a WHAM! We had hit a reveler while going nearly 30mph. It was like a bad nightmare. The driver stopped, he and Sanjay were decisive about picking the man up and putting him in the back seat of the truck to avoid the tension of the growing crowds which tend to form in places like Nepal when there is an accident. Ali, Sanjay and I scrambled into the bed of the truck in the rain as we continued to Pokhara and the promise of a hospital. I couldn’t imagine how this man would survive a blow like that, but by the time we got into Pokhara he was talking again. We hopped out, caught a taxi for the rest of our ride and hoped beyond all reason that the man made it to a hospital. It is most likely that the driver gave him some money and sent the very drunk man on his way, but we will never know. To top off this crazy day for some reason we decided to go out to a club and have drinks. This is where I feel like I had entered a dream state. We were on some crazy high from the hike and the accident. The next day somehow Yogy and Sanjay found a bus operating on Tihar and got back to Kathmandu. We tried to recover as I came down with a cold. Back in Kathmandu we met up with Sanjay and Yogy for dinner and then Sanjay again for a mini food tour! 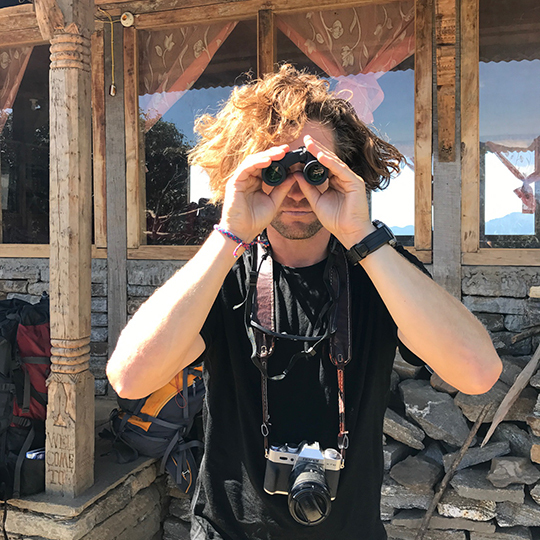 In looking over what we have shared here, we both realize that there are many things we left out of this post, though we tried our best to capture the highlights…but in a country like Nepal there is so much energy and life, too much for words.